The ladies formerly known as Listopad (read their interview and see the adorable photoshot here) are opening up a boutique of their own, Treasury, in a townhouse space above Som Records on 14th Street. Ie, IN MY NEIGHBORHOOD (yess!). Each of you should stuff some bills under your mattresses to snap up some carefully curated goodie on July 11. 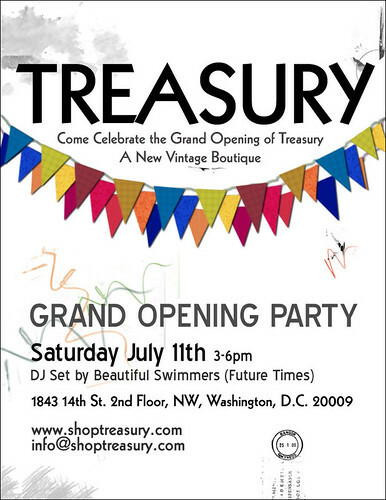 Treasury, a concept boutique offering Washington’s finest vintage apparel, will open to the public on Saturday, July 11. Located at 1843 14th Street N.W., Treasury is an exciting addition to the city’s fashion landscape, offering a carefully curated array of clothing, accessories and lifestyle items for woman, man and child. Treasury will open its doors to the public at noon July 11, offering grand opening sale prices on each and every item on display. aesthetic inspiration from Washington’s great museums, Treasury wishes to provide its clientele with exquisite vintage apparel imbued with a genuine sense of discovery. Prior to the launch of Treasury, co-owners Cathy Chung and Katerina Herodotou made a stir in local fashion circles with Listopad, a pop-up shop known for its numerous collaborations with Washington businesses, including Marvin, Red Onion Records & Books, Napoleon Bistro and others. Over the course of two years, Listopad-helmed events drew enthusiastic crowds as well as recognition from The Washington Post, Daily Candy and Project Beltway. Now Chung and Herodotou have found a permanent home for their unique vision on 14th Street, in the heart of D.C.’s burgeoning U Street corridor. And while the boutique will be a fitting addition to the bustling shops, restaurants and nightclubs that surround it, Treasury promises to bring Washingtonians to yet another place: the intersection of yesterday and today, classic and progressive, timeworn and timeless. Treasury will be open Thursdays 5 PM – 9 PM; Fridays 12 PM – 8 PM; Saturdays 12 PM – 8 PM; Sundays 12 PM – 6 PM. This Weekend: For the Boys. Sorry for the lack of posts this week. I’ve been busy painting our living room Disney “Invitation to a Princess,” which is just as fuschia and awesome as it sounds. But quickly, a few stylish events this weekend that have just popped onto my radar, for the BOYS! 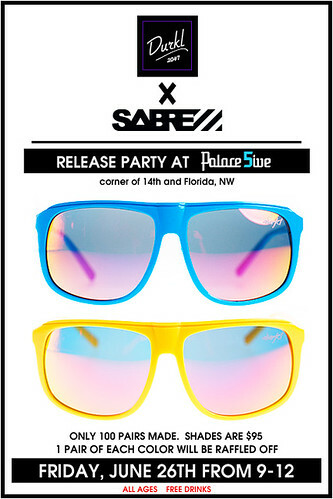 If you’re in DC, local streetwear label DURKL teams up with Palace5 to launch their limited-edition sunglasses (100 available). 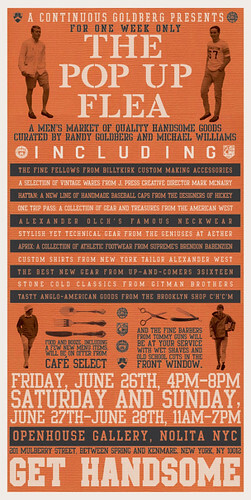 If you’re in NYC, Michael Williams, author of one of my fave style-blogs-for-guys, A Continuous Lean, hosts, along with Randy Goldberg of Kempt, a very cool sounding pop-up ‘flea” complete with barber haircuts. 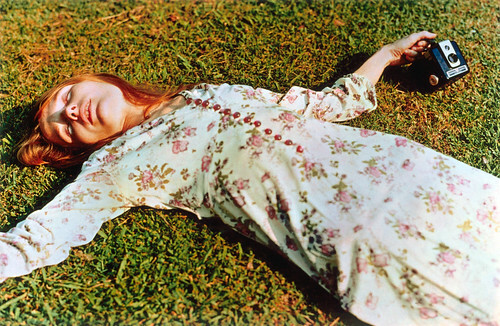 William Eggleston, Untitled, 1975. Dye transfer print, 16 x 20 in. (40.6 x 50.8 cm). Cheim & Read, New York © Eggleston Artistic Trust. Courtesy Cheim & Read, New York. I’m going to a book party tonight honoring author Julia Cronin, who penned Gypset Style and the William Eggleston photograph above is my outfit inspiration. And summer clothing inspiration as well. I’ve always been into the breezy, bohemian look, partly because it’s a look that typically features loose, structure-less silhouettes – I am stupidly attracted to clothes that look best on others – but mainly it’s the unfussy effortlessness of the look that appeals to me. A little rocker, a bit 70s, no stiletto shoes. And the life-is-a-road-trip lifestyle that goes along with it, naturally. Basically, Penny Lane in Almost Famous. This photo epitomizes that style and all that is good about summer (though it’s tempered a bit with the knowledge this photo was taken of Eggleston’s long-time lover, Lucia, in the 70s, before she died of complications related to alcoholism). The dress looks very much like an old dress of my mom’s that I brought back to DC with me a few weeks ago. I am determined to master this look, folks! This book party is an event celebrating the soon-to-open W Hotel near the White House (with a Bliss Spa…vote for the local brownie bar vendor here). I look forward to many a breezy (ok, humid and sticky) summer night on their rooftop…. The Eggleston exhibit opens this Saturday, by the way, and BEST YET, admission to the gallery is FREE on Saturdays all summer. On a related note, check out my Sidewalk Style subject this week: Ongina!